is the subsidiary of Green Delta Insurance Company Limited. 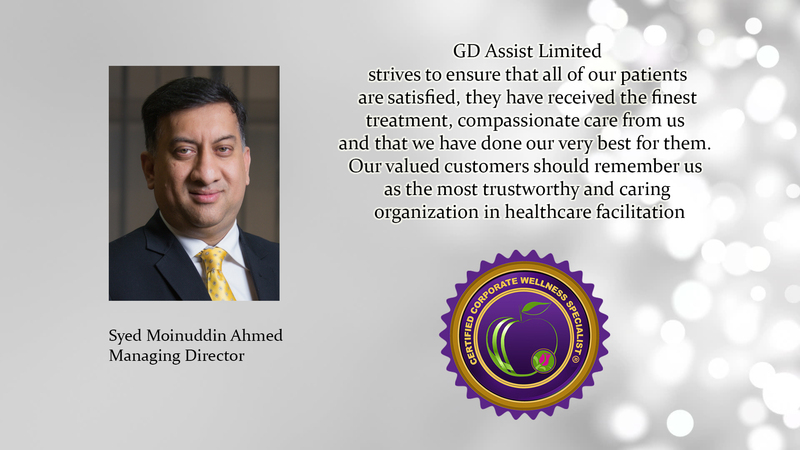 GD Assist Ltd. provides value added services in the healthcare sectors by means of setting doctor appointments at the best hospitals, Logistics support, Global Emergency Medical Evacuation, VISA assistance, Air Ticket, Hotel & Accommodation, Ground Transportation etc. We cover all aspects of your tour at affordable rates. With our highly experienced medical panel and extensive alliances with leading world class hospitals across India, Malaysia, Thailand and Singapore , we are here to give complete support to patients and their families. GD Assist Ltd. is the subsidiary of Green Delta Insurance Company Limited & also official & exclusive representative of Malaysia Healthcare Travel Council (MHTC), an extension of Ministry of Health Malaysia. It aims to provide a one stop solution for patient seeking medical attention in Malaysia, whether it’s an emergency or just a routine health checkup. 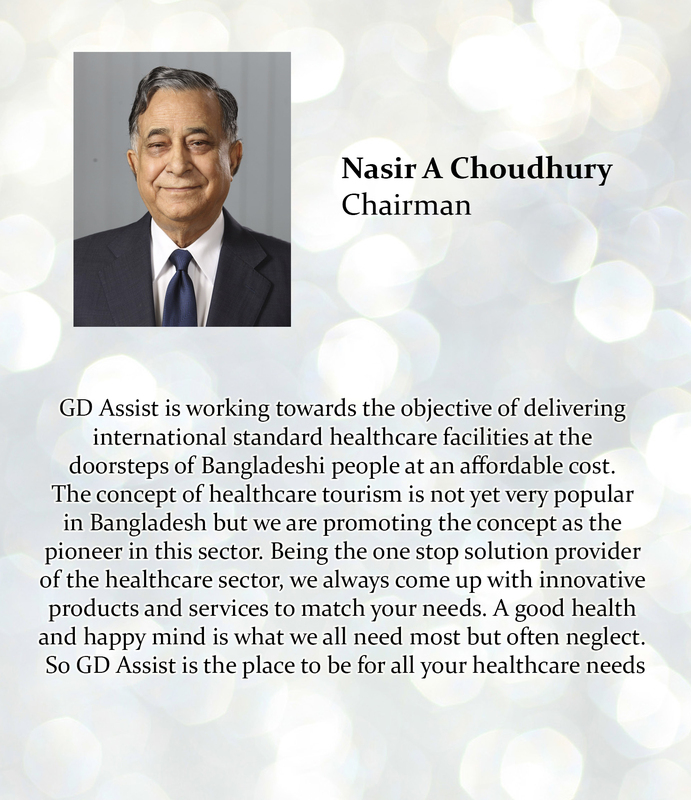 Besides that GD Assist is also engaged in promoting the top notch hospitals of Thailand, Singapore & India as well. GD Assist acts as the official & exclusive representative of Malaysia Healthcare Travel Council (MHTC), an extension of Ministry of Health Malaysia, which aims to provide a one stop solution for patient seeking medical attention whether it’s an emergency or just a routine health checkup. Moreover with highly experienced, competent medical panel and extensive alliances with leading world class hospitals across India, Malaysia, Thailand and Singapore which are well furnished with state-of-the-art technology and are well equipped to give complete support to patients and their families, elaborate network of logistics and dedicated personnel to fulfill patient’s various needs.